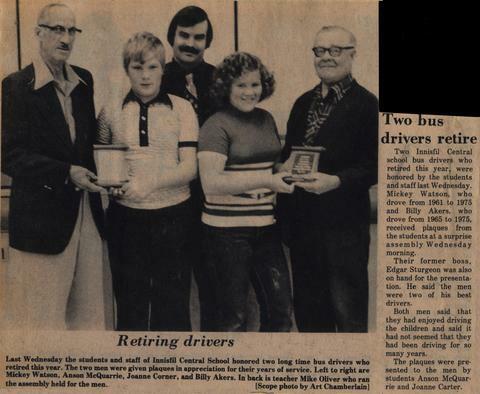 "Last Wednesday the students and staff at Innisfil Central School honoured two long time bus drivers who retired this year. The two men were given plaques in appreciation for their years of service. Left to right are Mickey Watson, Anson McQuarrie, Joanne Corner, and Bill Akers. In back is teacher Mike Oliver who ran the assembly held for the men."